This book is sometimes miscast as a biography, which, in my opinion, it is not. A biography tells the life story of its subject. The best ones, such as Ellis' and Chernow's biographies of Washington, Chernow's biography of Hamilton, and Isaacson's biography of Einstein show how their beliefs developed and show continuity or explain their changes in attitude. 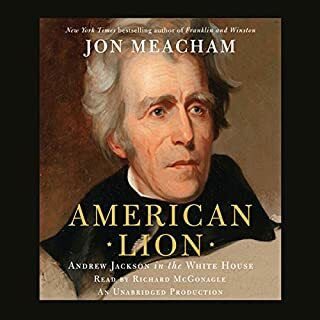 This book is more closely related to Jon Meacham's "American Lion" about Andrew Jackson in that it really only covers their public life after they entered onto the national stage. With that caveat in mind this is a worthwhile read/listen. While it doesn't give any real particular insights into Madison's character than can be gleaned from other readings it does give enough of a twist to them to make them not just a restatement of things others have said. Odd feature: I think I heard several times where the reader (and author?) made a simple mistake in their dates. At one point I thought I heard the reader say that "In 1971 Jefferson and Madison were..." Clearly the date is wrong and when I simply made it 1771 it made perfect sense. There were at least 3-4 occasions where this happened. It is kind of frustrating to have to change the reader's words in your mind while you listen, though. There are those who speak and write of the Founding Fathers as if they determinedly soared above the gravitational pull of politics and ambition. This book offers further reminders of the wrongheadedness of that assumption. Madison was the consummate political operative and played a seminal role in developing our political party system. That insight alone makes this book worth knowing. The narrator never slowed my listening and took a perfect tone?? ?scholarly but secretly entertained by the twists of President Madison?? ?s story. As a result, I was informed and entranced and sorry to hear Madison?? ?s life come to an end. This book covers the career of James Madison from the working on the Constitution through his presidency. The story gives an overview of the forming of the government. Brookhiser gave Alexander Hamilton excellent marks for how he created the Treasury Dept and how the federal monies flowed. Madison and Hamilton did not agree on forming the U.S. Bank. Brookhiser indicated that Madison was mentored by Jefferson and they had a life long friendship. The major concern of the book was politics and that Madison was one of the best at playing politics. Apparently from all the work Madison did on the Constitution and the Bill of Rights he became a pro getting committee member to get the work done. The book slowed down a few times but overall was interesting. Norman Dietz did a good job narrating the book. James Madison is one of those figures who seem to always be at the edge in discussions about historical characters. Some may know of him as the “Father of the Constitution” or as the fourth President of the United States. Few actually know much about the man himself. In this biography Richard Brookhiser seeks to show us that character. Madison was a small man, barely five feet tall, leaving him dwarfed by the tall Virginians George Washington and Thomas Jefferson. He was not a powerful speaker, but he was a man with a great mind and an attention for details. He was the driving force behind the creation of the Constitution of the United States. He was the creator of the first political party in the United States. 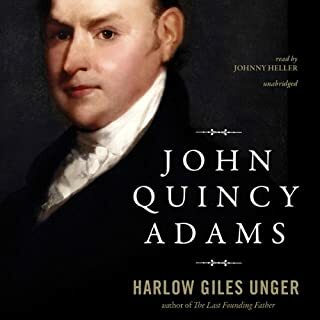 He was a junior partner in a lifelong political coalition with Thomas Jefferson, but he was never Jefferson’s inferior. He was not without his flaws and neither is this book. Brookhiser tends towards imbalance when discussing Madison’s political foes. Madison was a man who saw conspiracy around a lot of corners. Brookhiser gives this too much credence. For example he makes men like Alexander Hamilton and John Adams look like they were trying to subvert Constitution and create a monarchy. This is patently absurd. The book itself is well written and easy to read. Be sure that if you read this book you balance it out with others about the period. 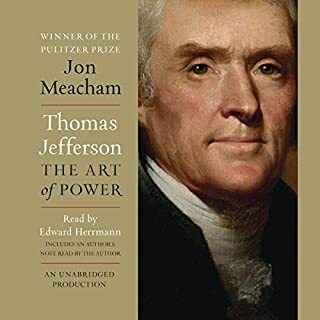 I would also recommend Founding Brothers by Joseph J. Ellis, Washington: A Life by Ron Chernow, John Adams by David McCullough, and Thomas Jefferson: The Art of Power by Jon Meacham. What did you love best about James Madison? The history of how we came to be from a political point of view. What other book might you compare James Madison to and why? Washing turning down the offer to be King and not accepting a third term as President. Washington walked away from power. It was sometimes tedious to listen to, but the history was more than I could have hoped for. Why in the world do they not teach this stuff in school. ps I went to a private school, but it was very, very progressive. Yikes! Good brief biography. Not a complete chronological narrative of his life but a collection of "snapshots" that highlight important or interesting moments in his life. A good summary for those that are new to Madison's life but you should understand the events that surrounded his life. The author reasonably assumes you know the context of his subject's life. For example if you do not understand the events that led to and transpired during the War of 1812 much of this section will not make sense. If you don't understand the development of the first party system and the differences and history between the Federalists and Republicans, much of the material presented will not be meaningful. The author provides an unvarnished look at Madison the person, the good and the bad, the consistencies and contradictions. Not much detail at all, but the material selected is important and informative and the presentation is interesting and memorable. when I set out to find a biography on Madison I found there were not alot of options. this one came recommend the highest but it's a bit dry. narration was ok but not much you can do. 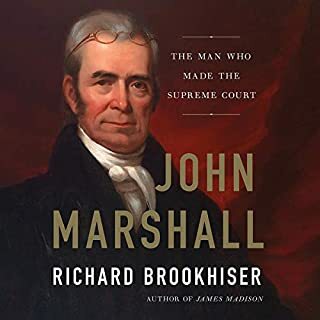 While this was a good biography, and it was performed well, it did not make Maddison come alive for me, like other biographies I have read of presidents. 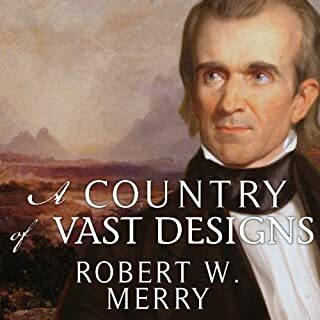 I have just finished reading Washington: A Life by Chernow, John Adams by McCullough, and Thomas Jefferson: The art of power by Meacham, and this book, while good, does not match up with those phenomenal biographies. I couldn't help but feel that there could've been more personal details. However, this book covers the facts very well and was still entertaining. I would definitely recommend the book if you want to read a book about Maddison specifically. Brookhiser cogently describes the life of an ambitious man. 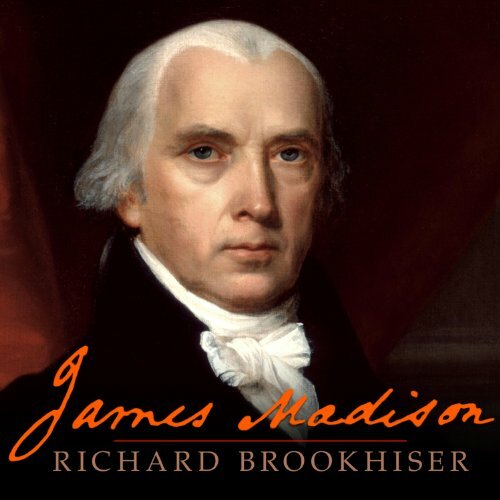 Madison is a man slightly ahead of his time; struggling with the questions of his era and unwilling to reach the intellectual & moral conclusions to which the Constitution & Bill of Rights surely indicate. Madison is surrounded by truly great thinkers and self made men. in comparison, he is a gifted, commendable bureaucrat and an slavish flunky to Jefferson. Madison is the first of a long line of self-dealing, hypocritical party hacks legion demagogic politics . Madison is the bridge from Enlightenment age thinkers to a modern form of politics we are familiar with today. Fascinating in a way. Short in Stature, but Mighty in Contributions! 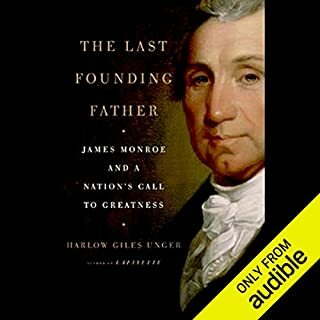 I learned so much from reading (listening to) this book on James Madison and I’m really glad that I took the time to do so. Madison, one of the “Founding Fathers” and “Framers” of the Constitution, really played an instrumental role in working with all of the Founding Fathers and Framers of the Constitution back in the day. He goes somewhat unheralded because of the larger than life shadows and legacies on George Washington, Thomas Jefferson and Benjamin Franklin and so many more, but a lot of things wouldn't have been accomplished without James Madison’s involvement and influence. This is a great book for those who love history and want to have a good grasp on American History. I highly recommend it!